A nonviolent demonstration was held at Atara checkpoint today to protest against the Israeli Occupation Forces’ preventing students from reaching their universities and schools. 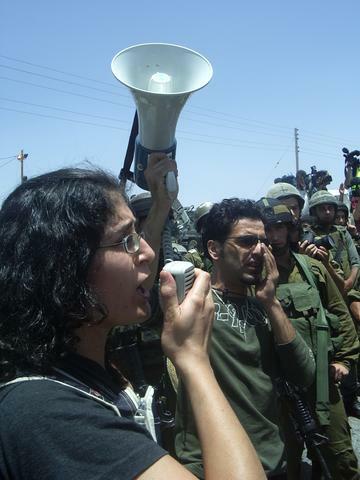 Palestinian and Israeli students, including Palestinian Israelis, were joined by international solidarity activists. The Atara checkpoint is located on the road to Bir Zeit University, north of Bir Zeit village. The area directly in front of the checkpoint was cordoned off by Israeli Border Police prior to the demonstration. 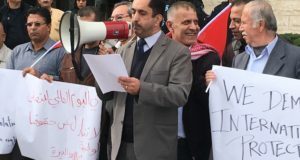 The protest commenced with Palestinians, internationals, and Israeli students and anarchists chanting “Red Blue Green White, Palestine is going to fight!” in English and “Refuse!” in Hebrew. 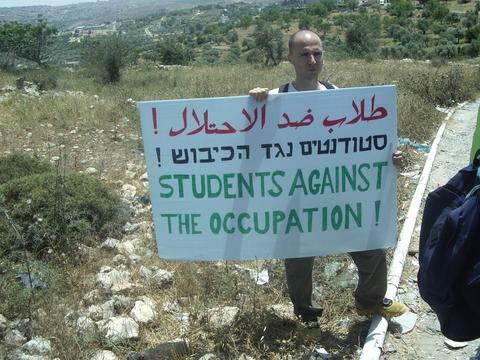 The latter slogan reflects the growing popularity of the refusenik movement, Israeli youth who reject conscription in the IOF to serve in Occupied Palestine. Soon after, Palestinians students from al-Quds Open University and Bir Zeit University arrived. The atmosphere was one of festive resistance. The protestors sang Palestinian revolutionary songs and Palestinians, Israelis, and internationals danced in front of the Border Police, who appeared more like sulky guests at a party and not an occupying military force. 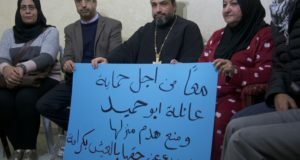 The general message of the protest was, “Out with the Occupation. This time is the last time.” The call to move forward towards the checkpoint was given. 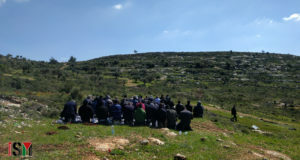 Immediately afterwards, an Israeli commander presented ISM coordinator Abdullah Abu Rahme with an order that apparently stated that the area was a closed military zone, and that the presence of the protestors was forbidden. The commander then attempted to announce on a bullhorn that crowd had ten minutes to disperse. He was, however, drowned out by whistles and booing from the crowd. 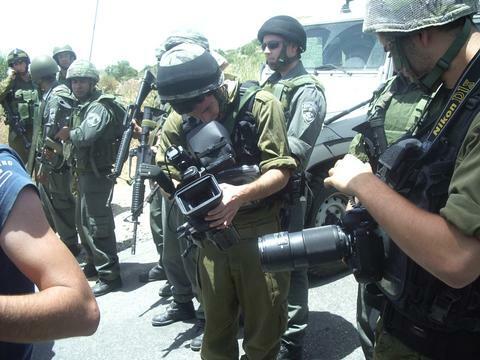 Two soldiers could be seen photographing and filming the protestors from a short distance. The demonstration continued in this way until it ended in stalemate. The demonstrators were not able to break the gauntlet of the military, nor was the IOF able to disperse the crowd of protestors. The spirit of solidarity was evident in the unity shown by protestors coming from different backgrounds sticking closely together. Demonstrations will be held this evening simultaneously in al-Manara square in Ramallah and in Tel Aviv.